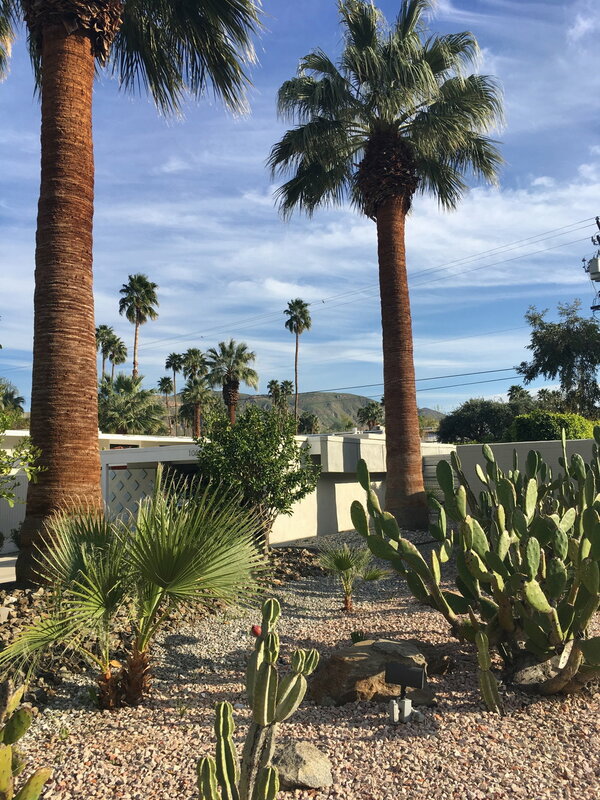 If mid-century modern architecture is your design style then Palm Springs is your destination, especially during Modernism Week when the city celebrates all aspects of mid-century design and its aesthetic preservation. 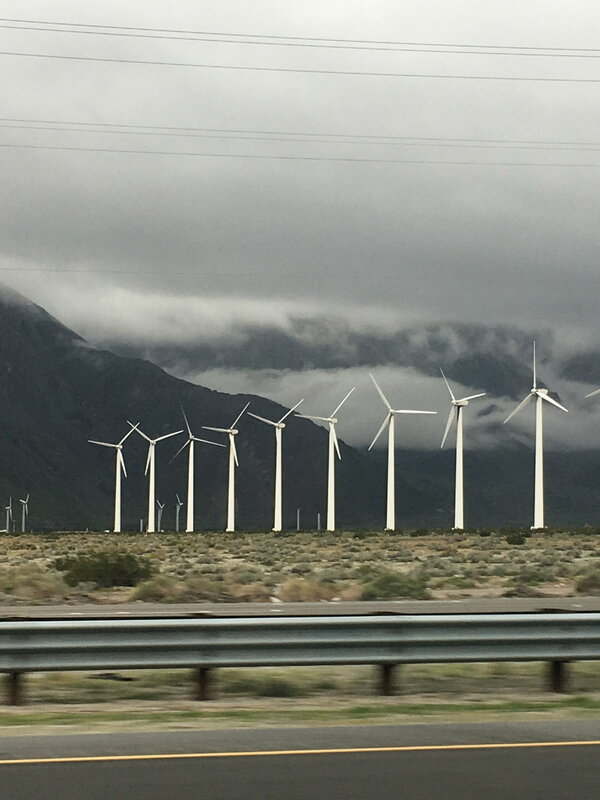 Less than a two-hour drive from Los Angeles, the scenery surrounding the city is striking with hundreds of wind turbines 'planted' into the desert hills. It is worth taking an architectural house tour to see the most famous mid-century modern homes. 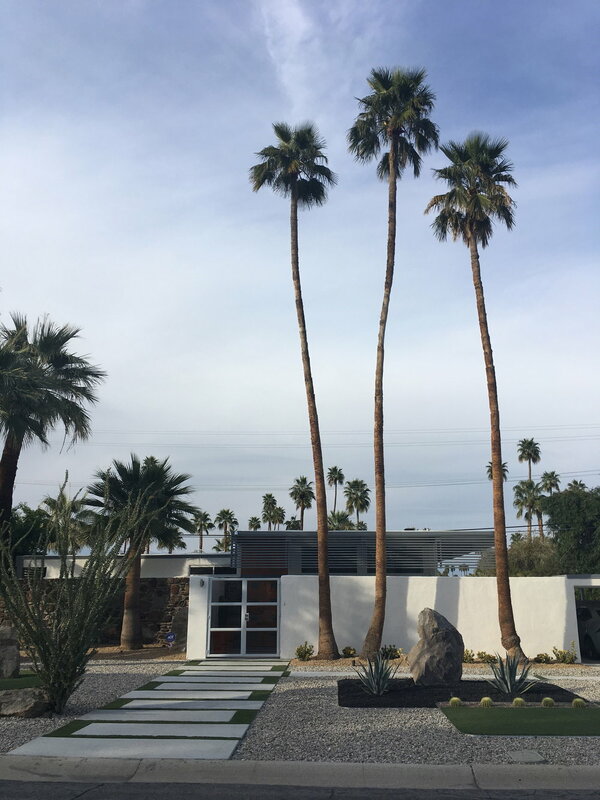 Many were designed by iconic architects such as Richard Neutra, William Wexler and E. Stewart Williams who designed 'Twin Palms' for Frank Sinatra . The period furniture, interior courtyards and outdoor entertainment spaces, most include stunning swimming pools, leave you wanting to just move in. Large cacti and succulents share the manicured gravel gardens with towering palm trees that look more like they belong in the tropics than in a desert. 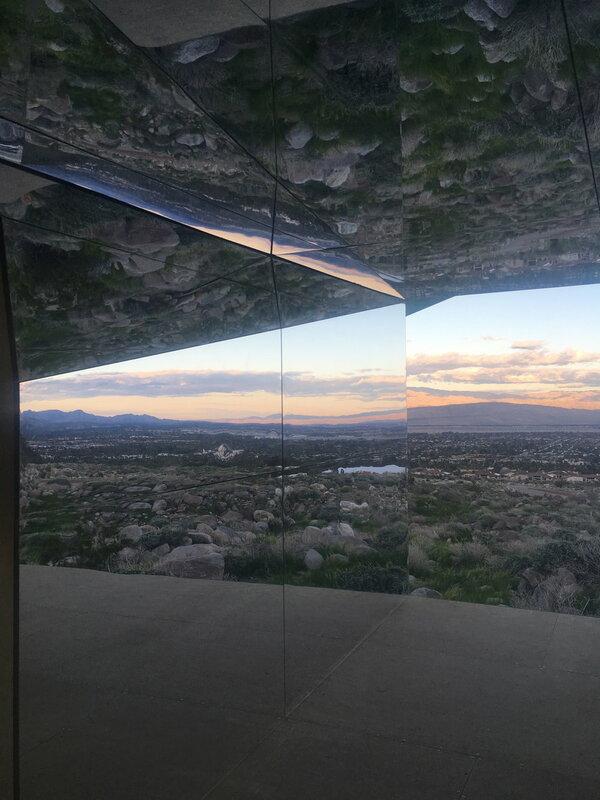 Venture just outside Palm Springs to experience Doug Aitken’s “Mirage” art installation of a ranch style house clad entirely with mirrors. It both absorbs and reflects the surrounding landscape making the house seemingly disappear. My pictures were taken in late afternoon under a cloudy sky but the reflections in full sun are even more dramatic. PS. Join me for my next Field Note from Salone del Mobile in Italy.